One of the recent Key Stage lessons for GCSE History involved a debate about whether the Field-Marshal Earl Haig monument in Whitehall should be removed. This was clearly in response to the ongoing media and student debate about removing statues of national figures, whose achievements do not find favour in certain camps. Make no mistake, this is not a gentle balloon debate, but rather a battle of historic proportions and let’s hope the victor is common sense. Just in case the debate spirals out of control and members of the Fellowship find themselves, arms linked and forming a protective shield around the various Haig statues, a look at their origins could be timely. Now creating a statue on this scale was a delicate and lengthy process. Most sculptors made drawings of the subject and then a scale model to create the shape and right proportions. From this, a full-scale model in oil-based clay would be made, so that the clay remained pliable and could be re-worked. It was painted in a non-adhesive agent and then cut into numbered pieces. These were then normally coated in plaster, creating a series of moulds, though in France the practice usually involved sand casting, or the ‘lost wax’ method. The resulting mould would be strengthened, lined and then liquid bronze was poured in. When cooled, the moulds were taken apart and the bronze sections were then welded together to create the final work. The earliest Haig statue is sited in Edinburgh Castle and was created while the Field Marshal was still alive. Haig’s association with Edinburgh is well known. He was born in Charlotte Square 1861, but after the Great War ended, the city did not rush to immortalise one of its most famous sons. That was left to the generosity of Sir Dhunjibhoy Bomanji, a wealthy Parsee from Bombay. Bomanji had estates and business interests in Britain and was a great supporter of the British monarchy. He was also involved in fund raising for army veterans and war widows in the early years after the Great War, and it was through this work that he came into contact with Haig. Bomanji’s admiration for the ‘Chief’ knew no bounds. He employed a sculptor, George Edward Wade to create a bronze of Haig. Born in 1853, Wade was an Old Carthusian who had moved to Italy because of the climate, taken up painting and returned as a sculptor, so he was not an established practitioner of the art. But he began work on the ten-ton bronze in 1922 and by the following year the mounted figure was finished and offered by Bomanji as a gift to Edinburgh Corporation. Fixed on top of a stone pedestal, and placed on the Esplanade in front of Edinburgh Castle, the statue was unveiled by the Lord Provost on 28 September 1923. However, it received a less than enthusiastic welcome. Perhaps both the local population and critics expected a more martial figure on a majestic steed. After all, in real life, Haig was an imposing figure and his horse, ‘Poperinghe’, was a fine animal. But Wade’s figure looked unsure in the saddle, with neither a good seat nor a sure gaze, while the horse looked gaunt and its legs splayed. Nevertheless, the statue remained in place and witnessed decades of marching soldiers and bands taking part in the Royal Edinburgh Tattoos. But by 2009, Edinburgh Corporation decided that the Field Marshal had reviewed enough troops and it was time to move him. After all, he had spent many summers covered up by the audience stands and scaffolding erected for the tattoos. Furthermore, all sorts of health and safety issues were invoked by the Corporation, including the statue impeding an emergency evacuation. Indeed, the future funding for new stands appeared to be in jeopardy if the removal was not carried out and the project received the blessing of Dawyck Haig, the second Earl Haig. The Royal British Legion in Scotland had some misgivings about relocating a statue which had stood in one place for so long, and there were fears that the statue’s dramatic back-drop would be lost. But the project’s brief to also replace the missing bridle parts and repair the plinth, won over most doubters. The statue and its stone plinth were duly taken apart, cleaned, restored and covered in a protective wax and moved from the Esplanade to Hospital Square, near the National War Museum. There, on 16 March 2011, the rejuvenated statue was unveiled by HRH Princess Anne, Patron of the Tattoo, and the Haig Fellowship was represented by George Webster. Here, the author has to declare a personal interest or at least, an emotional attachment. For many years he attended Clifton College, the alma mater of the Commander-in-Chief. Daily trips to the school chapel meant that the boys passed directly in front of the Haig statue. For luck or superstition, boys would brush the Field Marshal’s boot with their elbow, enhancing the already shiny surface. Today, his boots are not quite the shining example they once were, but the statue remains a fine example of William McMillan’s work. The siting of the statue was deliberate. For Haig stands in the grounds of his old boarding house, School House, with map in hand looking out over the Close playing fields, and has witnessed every subsequent victory or defeat of the school cricket or rugby teams. His contemporary at Clifton was Henry Newbolt, whose immortal verse of ‘Vitaï Lampada’ – There’s a breathless hush in the Close to-night – still haunts the spot. Whilst Newbolt’s exhortation to Play up! Play up! and play the game may appear dated, the concept of duty and pluck would have certainly been familiar to Haig. However, by the time of his death, a certain cynicism was pervading British society. Erich Remarque’s English translation of All Quite on the Western Front would shortly be published, heralding a number of anti-war novels and memoirs. Nevertheless, in 1930 the Old Cliftonian Society were minded to commission a statue of the famous OC and the Scottish sculptor, William McMillan was chosen to execute the work. McMillan was well-qualified to carve a martial subject. He was born in Aberdeen in 1887 and later studied at the Royal College of Art and in Florence. But his studies were interrupted by the outbreak of war in 1914 and he volunteered, initially for officer training, with the Artists Rifles and was eventually commissioned into the 5th Oxford and Buckinghamshire Light Infantry. Having endured a harsh winter on the Ypres Salient he was honourably discharged in 1916, though the exact circumstances are unclear. There is no doubt that the war had a powerful impact on both his mental state and his artistic influences and he was later chosen to design the British War Medal and the British Empire version of the Victory Medal. Coincidentally, at the time of the Clifton commission McMillan had just lost out in the competition to create the Haig equestrian monument in Whitehall. It is tempting to imagine that his unsuccessful mounted figure remained at his Chelsea studio, looking on as the ‘new’ Haig was created. On 25 June 1932, a grand unveiling took place at Clifton College and a large crowd of dignitaries, pupils, veterans and old boys (including another Great War commander, Field-Marshal Sir William Birdwood) witnessed the event. Haig’s daughter, Lady Alexandra, pulled away a large Union Jack to reveal the Chief – this time, on foot, shown in the guise of a more modern commander. Over the decades since, the statue has attracted praise from different quarters, enhanced by its setting. As it is a standing figure, there are no fine embellishments such as bridles or scabbards to break off, so the statue remains in good condition. However, the author remembers an incident in the late 1960s from which the Field-Marshal was lucky to recover. It was a time of anti-establishment fervour in some quarters and in the wake of the local premiere of the film of Joan Littlewood’s play, Oh! What a Lovely War, vandals emptied a tin of red paint over the top of him. The next morning Haig stood motionless, the red liquid trickling down over his face and uniform, within sight of the school’s Memorial Arch, containing the names of Clifton’s fallen. It was an ignorant act but for the Chief’s detractors, it was not without irony. The sculptor, McMillan, went on to create many more fine works including his 1961 statue of Lord Trenchard in Victoria Embankment Gardens, London, which owes much to this earlier Haig figure. But the artist suffered a tragic end. Just days before his 90th birthday, he was assaulted and robbed near his home in Richmond, London. He died of his injuries on 25 September 1977. The monument to Earl Haig in sleepy Montreuil-sur-Mer in northern France is a very potent reminder that the town was once the hub of British command during The Great War. In March 1916, just prior to that crucial British contribution to the allied coalition on the Somme, Haig moved his GHQ from Saint-Omer over to Montreuil-sur-Mer. When they arrived it must have come as a surprise to the British that there was no ‘Mer’, for the sea had receded hundreds of years before and the town was now ten miles inland. Still, it had plenty of accommodation, storage and stabling and the old military academy provided further lodging. 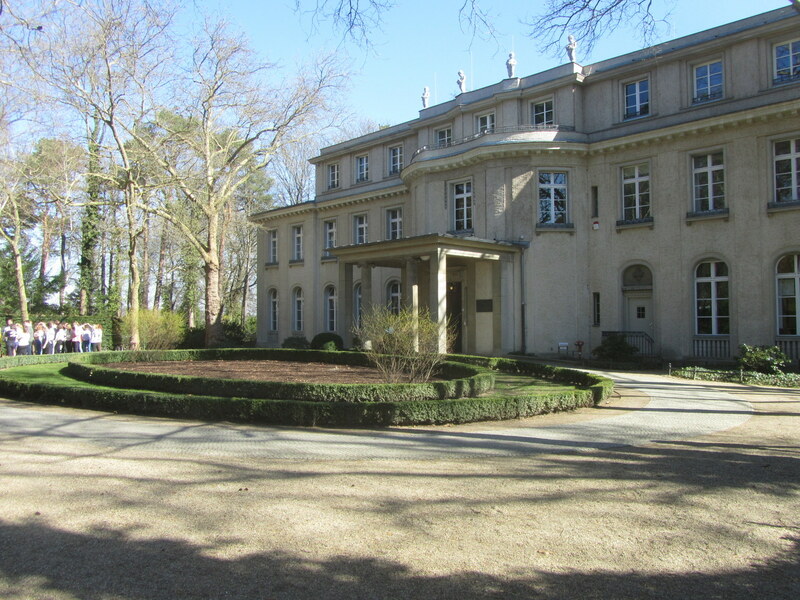 In addition to housing the considerable number of British Staff officers and clerks, the town also hosted Haig’s own residence and staff at the nearby Château de Beaurepaire. Despite Haig’s reservations about the distance from Montreuil to the front, British GHQ remained there until shortly after the Armistice in November 1918, ensuring a lasting legacy of the Entente-Cordiale. Following Haig’s death in 1928, this friendship was endorsed by the local inhabitants, who raised a fund for a statue in his honour. Inevitably it would also feature his horse, ‘Poperinghe’. In early 1929, the Sub-prefect of Montreuil gave the commission to Paul Landowski, a French sculptor of Polish descent, who had made a name for himself with a statue of ‘David Combattant’, for which he had won the Prix de Rome in 1900. He was a prolific craftsman, with a number of large projects in progress, including his collaboration with the magnificent ‘Christ The Redeemer’ sculpture above Rio de Janeiro. Yet he could turn his hand to any theme and, having been a Poilu during the Great War, he had certain empathy for military subjects. Over the following months, Landowski obsessed over the strength and mass of the animal model and his journal shows how he came to worship the beauty of Brécard’s horse. He explored every skeletal formation and approached his work in the manner of a veterinary surgeon, declaring, ‘the horse is built almost like a cathedral, with the attachment of these long muscles called sterno-maxillary; the way the pectorals, whose sterno-humerals come to hang down, create one of the rarest decorative patterns I know’. He realised that people viewing the sculpture on its plinth would always see the horse from below, so he devoted most of his time ensuring that this perspective was correct. When his first horse, ‘The Rhone’ was required for ceremonials Landowski went off to a cavalry depot at Saint Cloud in Paris to find a replacement. He looked at a variety of thoroughbreds before deciding on a well-covered four-year-old horse to use as his new model. For unlike some other sculptors, Landowski was determined to create a natural looking mount rather than a classical one, although in his journal he had to remind himself that ‘the horse is nevertheless a pedestal for the hero to be glorified’. After a year carving the horse in clay, he was ready to start work on ‘the hero’. He had ideas for the Field-Marshal resplendent in flowing cape but he received a letter confirming that while Haig may have worn a greatcoat or a waterproof trench coat while out riding, he never favoured a cape. Ever the stickler for detail, Landowski then set about acquiring an accurate uniform together with the correct horse tack. Colonel Needham at the British Embassy in Paris supplied some harness, while Baroness de la Grange (a great friend of Lady Haig, who had many contacts among the British Army community in France) provided the correct uniform. With the molten bronze poured and set, the parts could all be assembled and mounted. By June 1931 the statue was standing proudly in the Place du Général de Gaulle in front of the town theatre in Montreuil, which had been frequented by British troops during the war. A grand unveiling took place in front of French and British dignitaries, including Lady Haig and Marshal Pétain, together with a host of French martial bands, infantry and cavalry. And there the statue remained, gradually weathering and gaining the subtle patina of age. That is until the German Second Panzer Division arrived in Montreuil on 22 March 1940. The town was swiftly occupied by German troops. Because of its prominent position the statue soon found itself a target for pot-shots from idle sentries and it was then dismantled by the Germans, taken away and probably melted down. When the Allies finally returned in September 1944 it seemed that all that was left was the stone pedestal. But in 1948 Montreuil’s Mayor contacted Paul Landowski to see if he had any drawings left for his old sculpture of Haig. To the Mayor’s delight, the sculptor was able to confirm that not only had he kept the drawings but he also had the original moulds. So after a subscription was raised, the Commander-in-Chief was re-cast on his pedestal and inaugurated again with due pomp in June 1950. However, he was not allowed to preside over the town square in peace. For just two years later, Robert Blake, a largely unknown don and former spy, was tasked with editing The Private Papers of Douglas Haig 1914-1919 and all hell broke loose in France. The book highlighted, for the first time in public, Haig’s less than complimentary views on the capability of the French Army and it caused uproar in the French press. 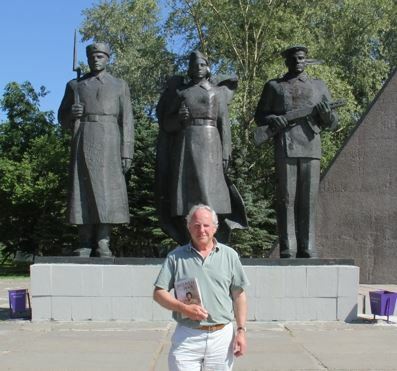 The Landowski statue was again targeted for demolition – this time by apoplectic French war veterans. But the town’s mayor managed to smooth things over by stressing that the statue was symbolic of Anglo-French cooperation rather than a memorial to one man. This time the statue may have been saved, but it was not safe. Vandals soon broke off the sword scabbard. Fortunately the broken part was found and kept in the town’s museum, but subsequent attempts to repair the statue have foundered. Part of the problem is that the statue was officially protected in 2012 as an historical monument and therefore any repair work undertaken would have to be of the highest standard. Breath-taking estimates for this work have sadly dashed several attempts at restoration. The last of the Haig statues was the most prominent and certainly the most controversial. The monument stands in Whitehall, adjacent to the Banqueting Hall, where Charles I stepped out of a first floor window and onto the scaffold. With its proximity to the old War Office, Horse Guards and Downing Street the statue was placed close to the political and military heart of the country. Significantly, it was also placed within sight of the Cenotaph, that empty tomb created by Sir Edwin Lutyens. Of course, the brief for each of these two monuments was entirely different. The Cenotaph was originally designed to be a temporary centrepiece for the 1919 ‘Victorious Allies March’ and then became a permanent memorial for the collective bereavement surrounding The Great War. Conversely, the Haig statue was, seemingly, a monument to just one man. When Haig died in 1928, representatives from both the British Army and the British Legion urged Stanley Baldwin’s government to erect a National Memorial for him. 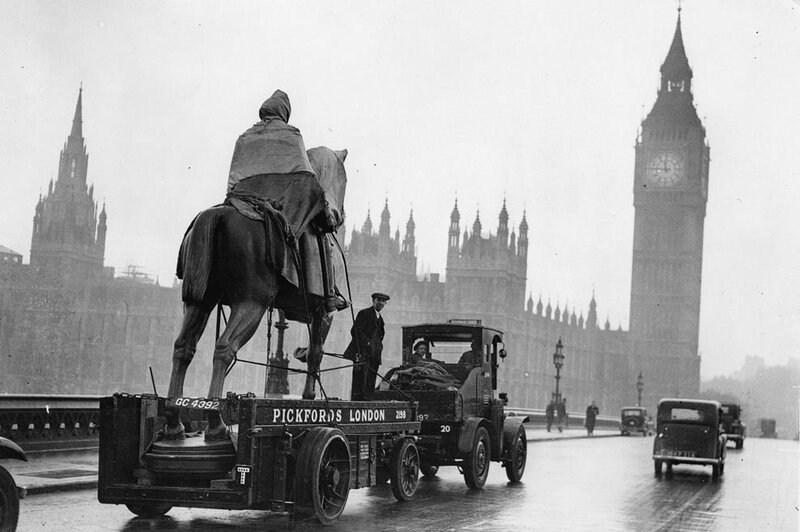 The project was delegated to a civil servant, Sir Lionel Earle and his Office of Works who decided that an equestrian statue would be a fitting memorial. Despite opposition, Earle decided on the site in Whitehall, but there remained the issue of who should create the monument. Again, Earle had his way and invited three sculptors, William McMillan, Gilbert Ledward and Alfred Hardiman to submit models for a competition. On 15 July 1929, Hardiman was declared the winner, but his equestrian model came under immediate attack from those close to Haig, as well as the press. The main issue, championed by Lady Haig, was that the equine statue bore no similarity to Haig’s wartime steed, ‘Poperinghe’. Furthermore, with its high arched neck, the model horse owed more to a classical or Renaissance school than a ‘naturalistic’ one. Heaping more insults on the sculptor, the Haig figure was deemed to have a poor seat – almost Teutonic in look. Worse still, the Chief was hatless, with a flowing cape. Hardiman responded with a revised model, but that fared no better. And by the time he had completed his third and final model in 1935, he managed to attract near universal condemnation. In his defence, Hardiman always asserted that he set out to create ‘a symbolic horse, not a realistic one’. Despite the criticism, Hardiman duly made the casts and the bronze statue was finally unveiled on 10 November 1937. Since then, continuing conflict has generated further statues around Whitehall and expanded the scope of the Cenotaph. But the Haig monument has weathered the changes in the public’s attitude towards those who conducted the Great War. In the lead up to Remembrance Day in 1998, The Express newspaper promoted a campaign to remove the monument. Using hysterical language, the paper attacked the sculpture as if its very presence so close to the cenotaph somehow sullied the memory of the fallen. But with its stone base, the eight-metre-high statue continues to rise above its detractors, as well as the Whitehall traffic. In his sculpture, Alfred Hardiman had set out to capture a powerful beast moving relentlessly forward, but all the while kept in check and firmly controlled by its rider. Surely, this remains a fitting epitaph to Haig’s concept of command. Most of the controversies surrounding the equestrian statues of Haig have centred on the depiction of his horse, ‘Poperinghe’. But what became of the animal after the war? Haig rode him in the London Victory Parade in 1919 and then presented him to King George V. Renamed ‘Haig’, the horse was brought out for ceremonies in the 1920s for its old master to ride, and when Haig died, the horse carried out one last duty. Following behind the gun-carriage bearing Haig’s coffin, he carried the Field-Marshal’s boots, reversed in mourning, towards the funeral in Westminster Abbey. After contracting a lung infection in 1930, the horse had to be despatched at the Buckingham Palace stables. In sand casting, the clay model parts were pressed into a sand box, which left an imprint. A solid core was then positioned just above the imprint, leaving a thin space for the molten bronze to be poured in. This created a hollow sculptured section, which was then welded to the other sections to create the final work. Neither did Edinburgh rush to create Haig a Freeman of the City. According to Brigadier-General John Charteris, the city of Glasgow beat them to it. Field-Marshal Earl Haig (Cassell, London 1929), p.368. GE Wade; ref Misc. Papers Acc 70-26, Tate Gallery Archive, London. ‘Relocating the statue of Earl Haig’, Report #9 of the City of Edinburgh Council Culture and Leisure Com., 23 June 2009. See www.edinburgh.gov.uk/download/meetings/id/21244/relocation_of_earl_haig_statue. See article and image, pp.66-7, Records #15, November 2011. Second Lieutenant William McMillan. Long Service Papers, WO339/51498, National Archives, Kew, London (NA). For a study of the McMillan statue, which draws on details from The Cliftonian magazine, see Douglas Merritt and Francis Greenacre, Public Sculpture of Bristol (Liverpool University Press, Liverpool 2011) p. 86. Haig Diary, 14 April 1917, Gary Sheffield and John Bourne (Eds. ), Douglas Haig War Diaries and Letters 1914-1918 (Weidenfeld & Nicolson, London 2005). Paul Landowski Journal, 28 February 1929, Museum of the Thirties (MA30), Boulogne-Billancourt, France. His most famous war memorial was a magnificent eight-metre high monument in pink granite on the hillside of the Butte Chalmont in the Aisne. Titled The Ghosts, the figures were set upon the same ground that was fought over in the Second Battle of the Marne in 1918. He also designed the tomb of Marshal Foch in Les Invalides, Paris. Landowski Journal, op. cit., 3 May 1929, Malissard’s statue of Foch, who was made an honorary British Field Marshal in 1919, was unveiled by the Prince of Wales in June 1930. Landowski Journal op.cit., 16 Oct 1929. Landowski Journal op. cit., 30 October 1929. Landowski Journal op. cit., 22 October, 10-12 November, 3 December 1929. Landowski Journal op. cit., 24 November 1929. PL incorrectly attributes this letter to Haig himself, but the Field-Marshal had been dead for over a year. It was possibly sent by Lady Haig. Landowski Journal, op. cit., 21 November, 11 December 1930. The Baroness had just published her memoir Open House in Flanders. Jay Winter, Sites of Memory, Sites of Mourning (CUP, Cambridge 1995), pp. 102-4. Stephen Heathom, ‘The Civil Servant and Public Remembrance: Sir Lionel Earle and the Shaping of London’s Commemorative Landscape, 1918–1933’, Twentieth Century British History, Volume 19, Issue 3, 1 January 2008, Pages 259–287. ‘Earl Haig’, Whitehall 1929-38, Office of Works, WORK20/185 and 186, NA. These files contain extensive correspondence concerning the Haig statue and the competition. The most comprehensive and authoritative article on the project is to be found in Nicholas Watkins, ‘A Kick in the Teeth: The Equestrian Monument to Field Marshal Earl Haig by Alfred Hardiman’ in Essays on Sculpture # 57 (Henry Moore Institute, Leeds). Alfred Frank Hardiman Papers; ref 2003.7 Henry Moore Institute Archive, Leeds; see also.Peter Mathews, London’s Statues and Monuments (Shire, London 2012), pp 20-21. Gary Sheffield, Forgotten Victory. The First World War: Myths and Realities (Headline, London 2001), p.19. and Appropriation, (Routledge, London 2013), p.127.